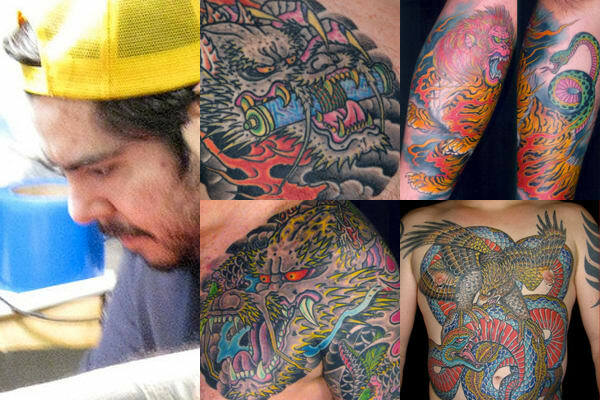 Also known as Horimana, the Austin-based Chris Trevino has been tattooing for 20 years. His take on traditional Japanese ink has resulted in some major body suits, and his work exhibits a perfect balance between black-and-gray and color. A lot of Horimana's work has found its way onto merchandise. It can all be seen in his 2011 book, Gods and Warriors, Horimana: The Art of Chris Trevino.